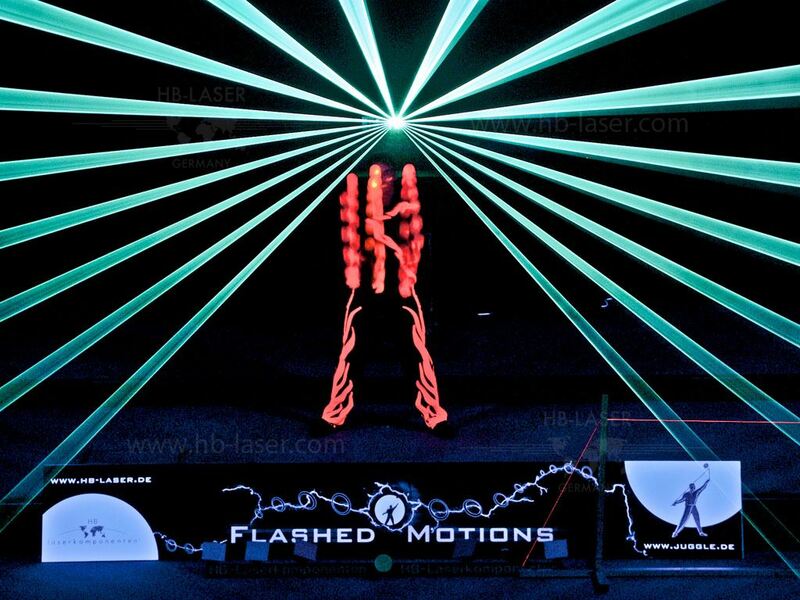 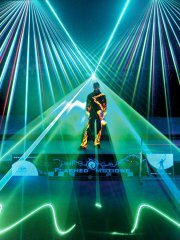 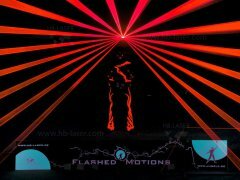 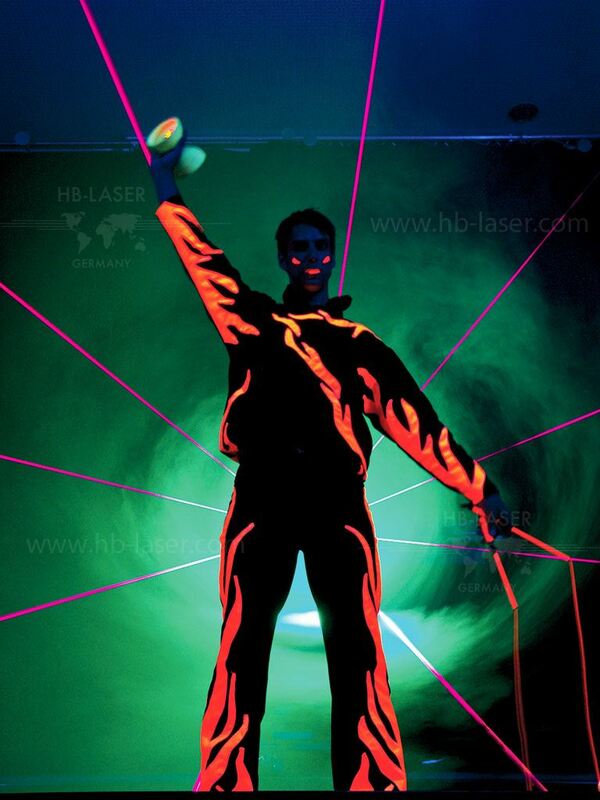 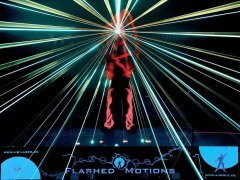 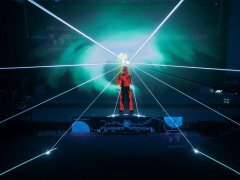 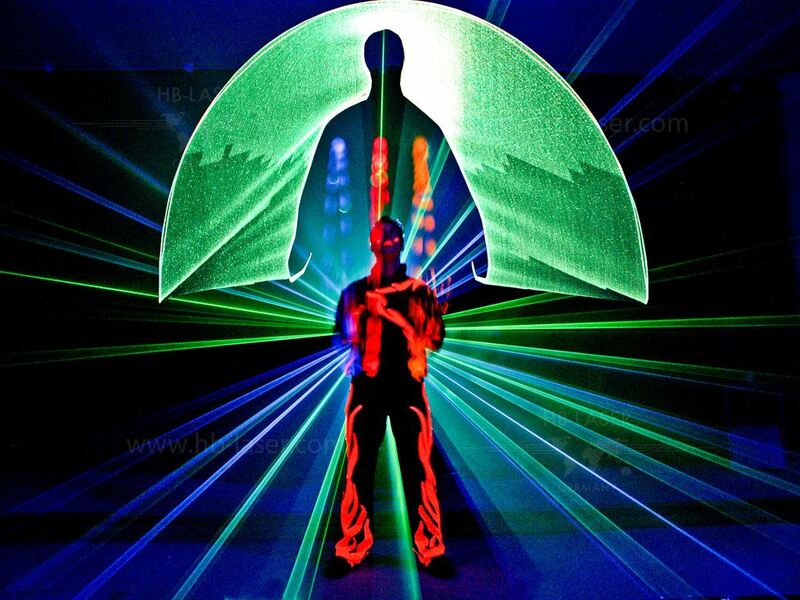 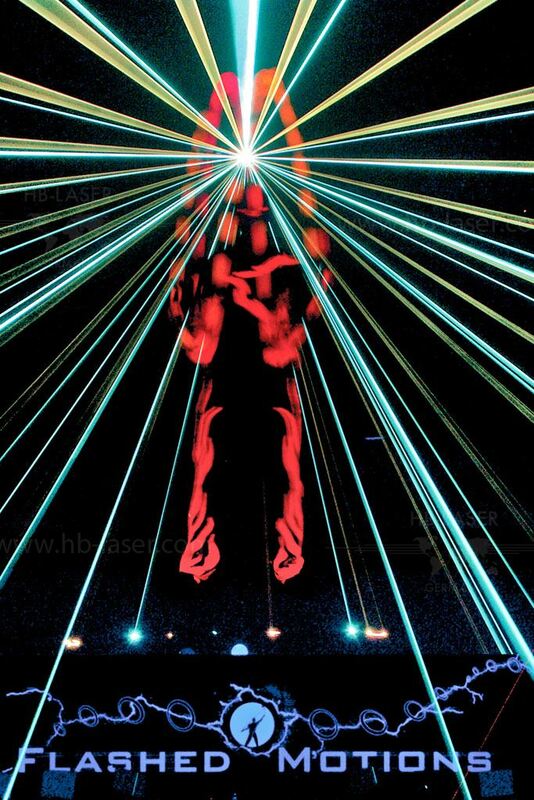 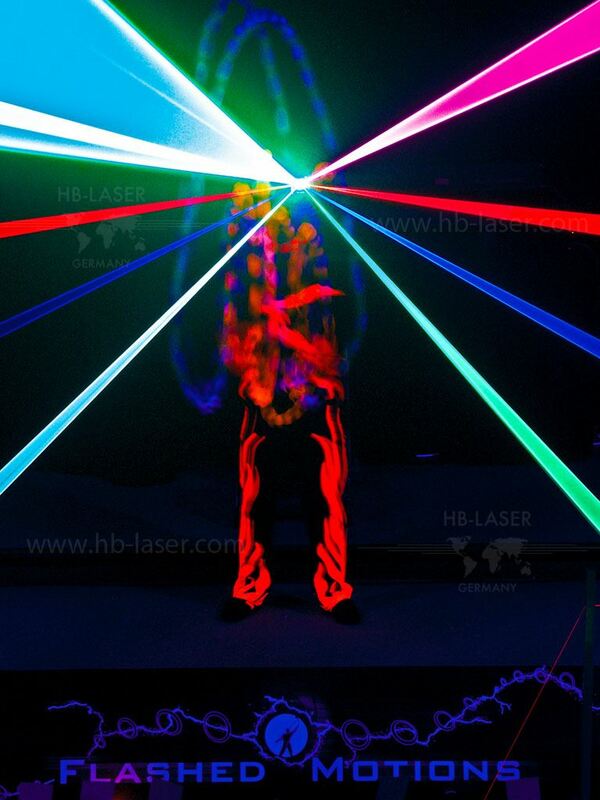 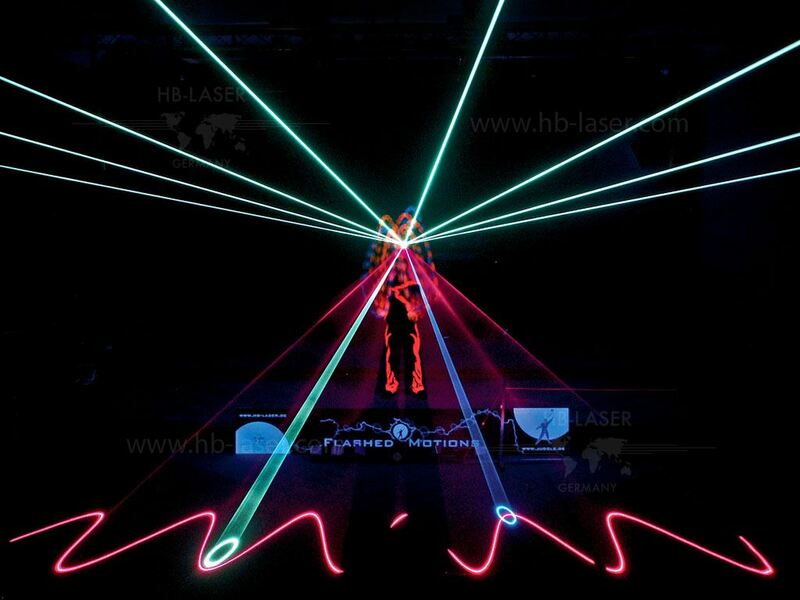 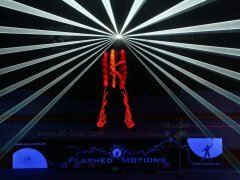 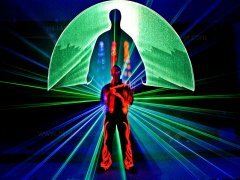 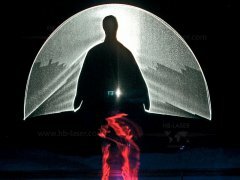 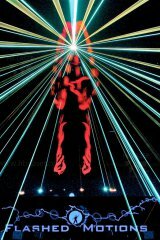 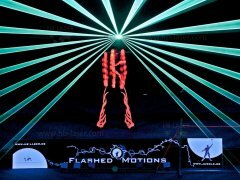 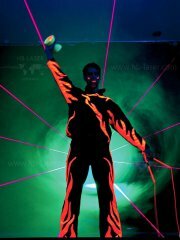 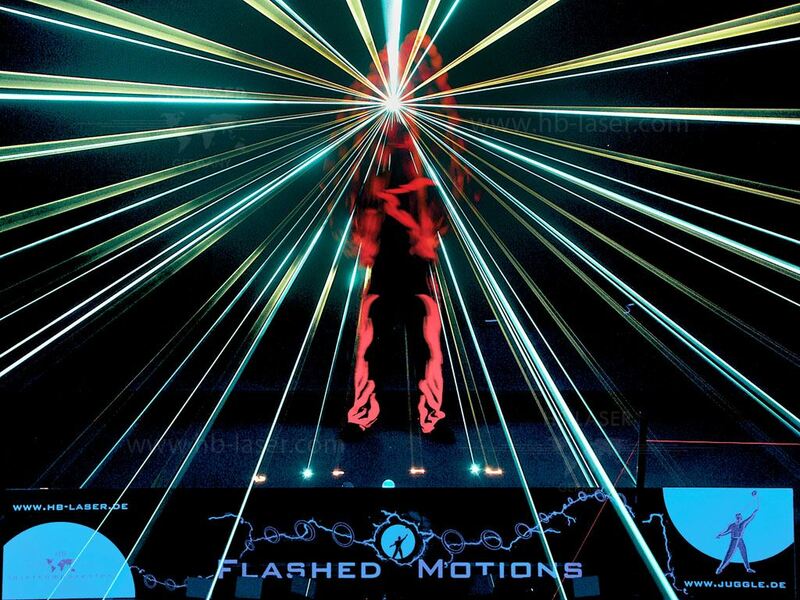 HB-Laser cooperated with the juggling artists of Flashed Motions, that created a new style of juggling artistry in 2004 with using fluorescent colors together with black light and lasers to emphasize the emotional artistry. 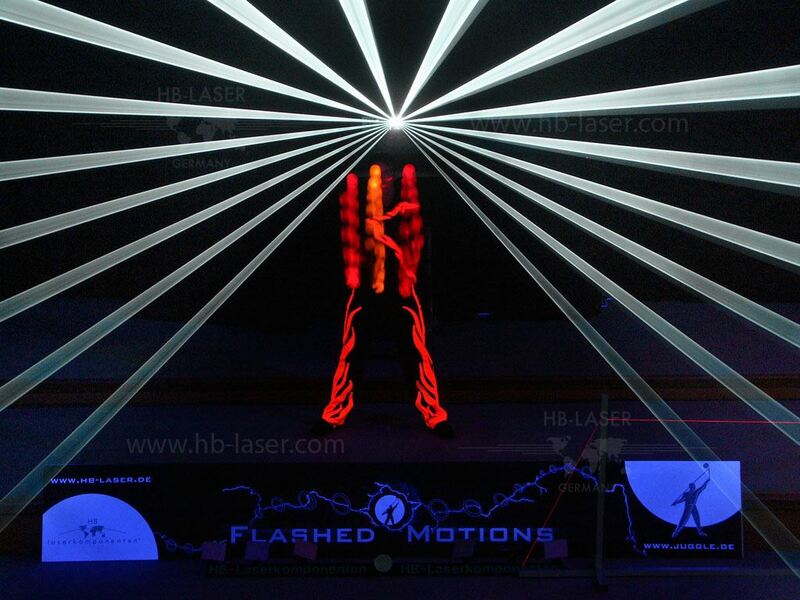 The laser support was given with a Coherent Enterprise gas laser system with 1.5W white light, based on an HB-Laser ATLAS platform. This system was equipped with General Scanning G120 Scanners.